Paradise Motors Mazda has been selected as one of SA’s dedicated Mazda Ute Centre which means we can provide you with the expert advice you need. Paradise Motors Mazda are proud to announce the launch of our Mazda Ute Centre. 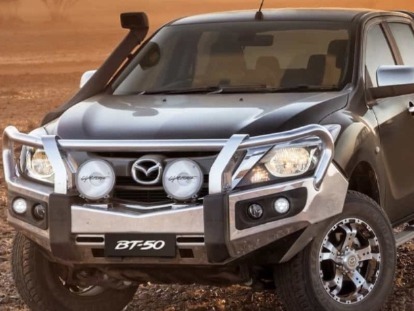 We have expert Mazda BT-50 and 4×4 specialists based at the dealership ready to help you buy and customise your next Ute. We have a huge range of display stock, test drive stock, BT-50 models, Mazda accessories and exclusive Mazda Ute Centre pricing. Join our Mazda Ute Centre family today! There are plenty of utes that can boast brute strength, but it’s the technology, power and fuel efficiency behind the muscle that makes BT-50 a real hero. With the full range on display, experts on hand with details and advice plus a variety of accessories on view, our dedicated Ute Centre is the perfect way to get to know your next Mazda BT-50.